2015 Calendar of Northern European Polythesitc Holidays. 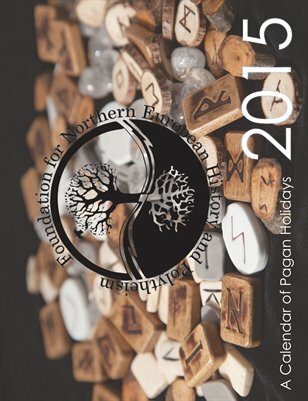 This 2015 calendar has been created by the Foundation for Northern European History and Polytheism, a non profit dedicated to the preservation and continuation of Polytheistic Practices. It features holidays from the Heathen, Celtic and Slavic pagan religions. Also included are the equinoxes, mercury in retrograde and graphic representations of the moon phases. This calendar aims to show beautiful artwork related to the religions and holidays, education on the holidays and provide methods of networking within the Northern European Polytheism community.